Megavent (with reinforced spring) autovent uses a reinforce mechanism to open a vent. 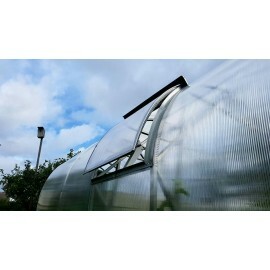 Good greenhouse ventilation is one of the key factors for a rich harvest. Megavent (with reinforced spring) autovent uses a reinforce mechanism to open a vent. Together with a window leaf, this reliable ventilation solution makes your greenhouse ventilation completely automatic. Megavent does not require electricity, running due to thermal and mechanical properties of wax and paraffin, filling the cylinder which expands as the temperature rises thus activating the mechanism that opens the window leaf. 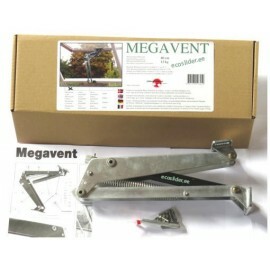 Megavent can be installed in all kinds of greenhouses. The mechanism can be adjusted in order to begin opening the vent automatically for approximately 40 cm starting at 17 degrees, and if the temperature drops below 17 degrees, the vent will be automatically shut. Reinforced spring make this mechanism resistant to extreme winds, preserving air vents in full operation even during a gale. EcoSlider window leafs are already adapted for a quick installation of Megavent autovents. All side holes are already punched, and special threaded nuts are pressed into fixing points, securing the mechanism to the pane. 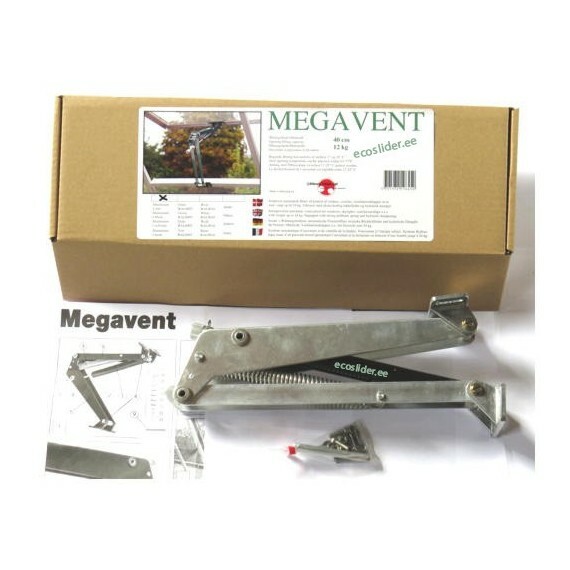 Megavent is made of corrosion-resistant materials: stainless steel, anodized aluminium, and copper.